If you are currently considering refinancing a property, the best 1st step you can take is to be proactive! Contact us today and evaluate your options. We work with professional Mortgage Educators who are ready to provide you with a No Obligation mortgage analysis which could save you thousands of dollars! If your current rate is over 4.75%? Act now! You may be able to refinance for little to No Closing Costs (where the lender pays your closing costs) and benefit from significant savings. Or if you currently are in an ARM you may want to lock in a great fixed rate before rates rise higher. Reducing your current rate by as little as 1/4% can save you TWO YEARS off the life of your loan! Contact us for assistance in determining your potential savings. Do You Currently Pay Mortgage Insurance? Home values have gone up in most areas. 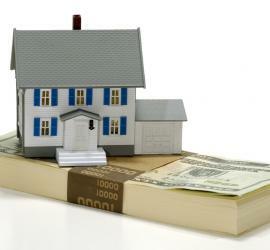 You may be able to refinance and eliminate your mortgage insurance. If you had less than 20% equity in your property the last time you financed then you have some form of Periodic Mortgage Insurance. (PMI or MI or MIP). You should see a line item on your mortgage statement telling you what you pay for this. Mortgage Insurance protects the lender in the even of a foreclosure. If your property value has increased since you last financed then you may be able to lower, or eliminate, that costly mortgage insurance. Many areas of the country have seen significant increases in home value. Consolidate debt, or switch to a longer term loan to help lower your monthly expense significantly. Most people only focus on lowering their mortgage RATE and often neglect opportunity to improve their overall monthly cashflow by looking at other strategies. If you have other debt which carries higher rates, or less favorable terms you may be able to pay them off with your mortgage and see dramatic savings on your monthly budget. Or sometimes the pressure of paying your mortgage in 15 or 20 years is too much. Refinancing to a 30 yr term will lower your monthly payments and still give you the ability to pay extra when your budget allows. Do You Have an Adjustable Rate Mortgage (A.R.M.)? Homeowners with ARMs have benefitted from lower rates in recent years. But when rates start to rise switching to a fixed rate may be a safer option.